We have so much, yet forget to stop and realize it's a gift of grace. I’m so proud of Sarah Jo. 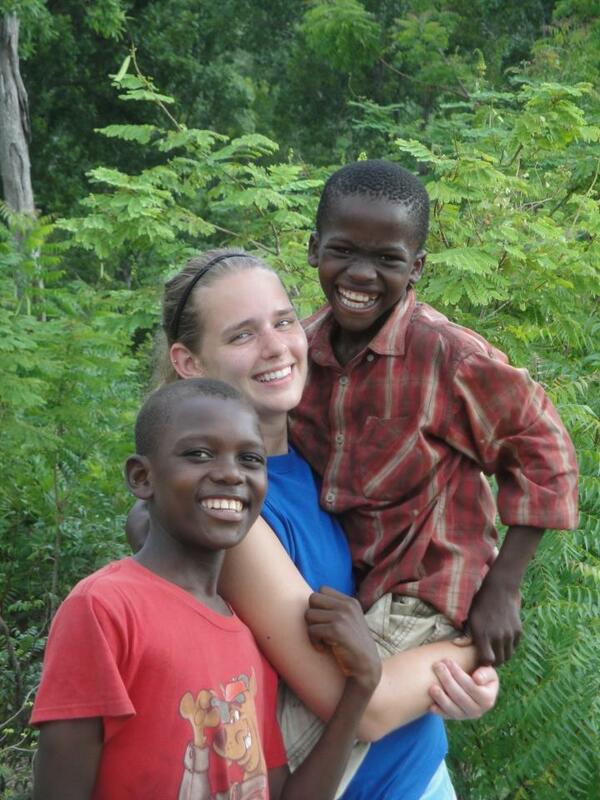 Sarah Jo on a previous mission trip to Haiti. This college student from Ohio State volunteered to go to Romania for a short term mission trip and is learning much about life, service, and grace. At first, she spent her time washing windows in preparation for a church camp for Romanian children and helping an older woman with maintenance of her vineyard, doing work like repairing and steadying posts which the lady could no longer do. Then Sarah visited an orphanage, a home for the mentally handicapped, and a Gypsy center. The team’s hope was to draw some Gypsy children to the camp. After some delays several children came to the camp. It was then that Sarah says her heart was broken. Now I don’t know what comes to your mind when you hear the word Gypsy. Nothing good comes up in my mind, I have to admit. All the things I’ve heard over the years – vagabond, wild, wanderers, cheaters, or people without a homeland. When the more negative terms pop into my head, I have to pull myself up short. They are just people, I remind myself. I don’t know their story. We take so much for granted. We have so much, yet forget to stop and realize it’s a gift of grace. Our freedoms, our material blessings, our relationships, even our salvation are all gifts, none of them earned. Yet Sarah quickly realized that these gifts are not gifts unto themselves but a call to give back to the Savior, to give forward to others. 2 Corinthians 6;1 says, “As God’s fellow workers, we urge you not to receive God’s grace in vain.” Read the following verses to see how Paul chose to use that gift of grace. Stop at verse ten. We may be called upon to be poor in the world’s eye in the process of making many rich but, in the end, we who seemingly have nothing will possess everything. I’m humbled by Sarah’s attitude. May I, may all of us, look for ways to take the gift of grace that has been shown to us, and show and tell others about the gift we’ve been given. Thanks, Sarah. We’re praying God uses you mightily so that through your life and example many will be made rich in the things that matter.